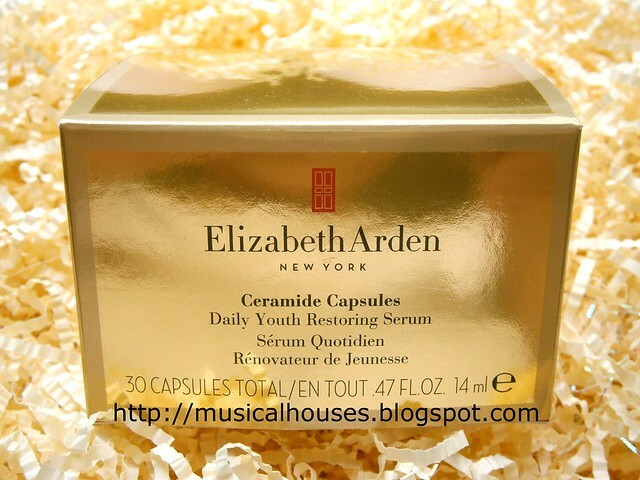 One of the more famous products from Elizabeth Arden's roster are the Ceramide Capsules Daily Youth Restoring Serum. I've heard of Elizabeth Arden, and I've seen the glossy ads with the capsules, and I've definitely seen the rave reviews (no kidding, if you google the product name, pretty much every review agglomeration site - Ulta, Makeupalley, Skinstore, and so on, all give it rave reviews overall). And now, I got to examine the product for myself to see what is so special about these capsules. Inside the super-luxe looking box, you get 60 capsules a box, which if you use at the rate of 1 a day, will translate to a 2 months supply. The product is both fragrance and preservative-free, which is pretty unique, because most skincare definitely needs preservatives to ensure it doesn't go bad once you open the jar! I attribute this to the unique individually-packaged capsules. I guess they could have just done what other companies would do and put the serum in a jar or pump, but then that would necessitate adding some preservatives since the packaging makes the product more likely to be contaminated. So if you're reactive towards either fragrances or (much less likely) towards preservatives, this is a good try. Packaging and fancy capsules aside, I have to say, I was impressed with the product. When I first received it for review, I was thinking, "Oh great, another mediocre but overpriced moisturizer with no substance except the brand name and packaging". 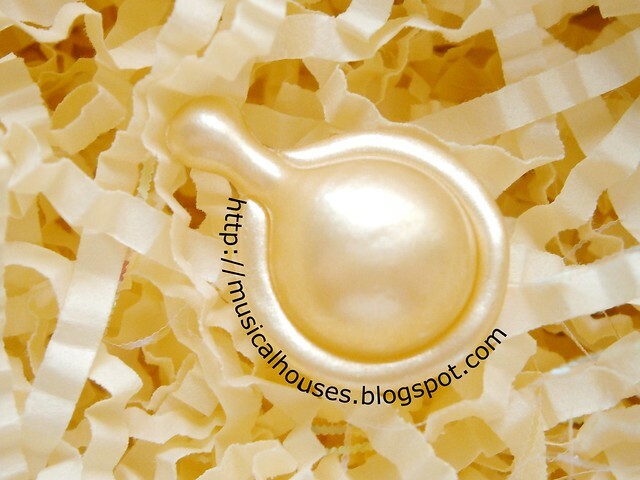 Turns out, as I started looking into the scientific literature available, it seems that the Ceramide Capsules Daily Youth Restoring Serum is actually pretty well-formulated, and there is actually quite a lot of science behind the product! A luxurious serum that is also backed up by the science. Yes, this means I did indeed start being a skincare nerd and was trawling PubMed, ScienceDirect and the like to look up the key advertised ingredients.In the Elizabeth Arden Ceramide Capsules Daily Youth Restoring Serum, this is ceramide. To be precise, it's a combination of Ceramide 1 and Ceramide 6 (phytosphingosine and fatty acid are added too, but we'll get to that soon). It looks like the science is actually in support of ceramides! So, what role do ceramides play that makes them so important? Turns out ceramides, along with other compounds such as fatty acids and cholesterol, form part of the extracellular matrix of our skin, and "play an important role in the regulation of skin water barrier homeostasis and water-holding capacity". What that basically means is 1) ceramides and their friends fatty acid and cholesterol, make up the "glue" that holds the skin cells in the outermost layer of our skin together, and by doing so 2) allow the skin to retain its moisture, and 3) function as a natural protective layer. Interestingly, unlike collagen, which cannot be replenished in the skin through topical application, the consenus in the scientific community is that ceramides likely permeate the stratum corneum and are incorporated back in your dermal matrix (the structure that forms the deeper layers of your skin). So yes, if your skin is deficient in ceramides (either through a skin disease, such as atopic dermatitis, psoriasis, contact dermatitis, or else just through plain old aging or dryness), you can indeed replenish your skin's ceramide level via topical application. The key ingredients, a skin-lipid mixture with ceramides, fatty acids, and phytosphingosine, help to repair the skin's natural barrier function. That's exciting, but beyond that, what I found interesting about the literature is that in general, it seems that mixtures of different types of ceramides, together with other molecules found in the skin's extracellular matrix, such as fatty acids or cholesterol, often perform better than just a particular ceramide type in isolation. Combinations of ceramides, as well as ceramides combined with fatty acids, cholesterol or phytosphingosine, seem to give the best results, but even just combining two ceramide types seems to demonstrate synergistic effect. The ingredients belie a well-formulated, power-packed product with no "marketing" ingredients. So after all that geekery (What? You mean most beauty bloggers don't check the marketing hype against the scientific literature out there? Gasp, what is this, a bimbo endeavour it something? Beauty is SRS BIZNIS U GUISE! ), how does all this geek-knowledge allow us to assess the product? Well this is where all that learning we did comes in so handy. 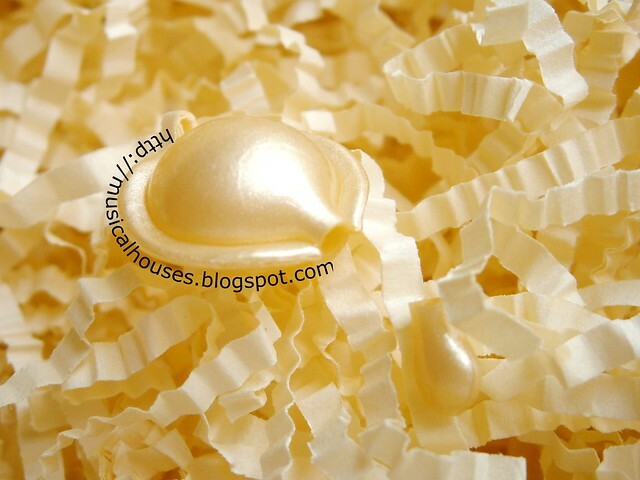 The first few ingredients in the Elizabeth Arden Ceramide Capsules Daily Youth Restoring Serum are the silicones dimethicone, cyclohexasiloxane and cyclopentasiloxane, which function as emollients and are used to spread the product out on skin and give it a better texture. 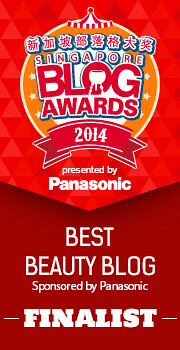 No surprise there, as that is typical of most skincare products. After that, you get the unique stuff, that isn't commonly found in your average serum: isostearic acid (which is a fatty acid), Ceramide 1, Ceramide 6ii, borago officinalis seed oil (which is rich in γ-Linolenic acid (gamma-linolenic acid, aka a fatty acid), linoleic acid, and linolenic acid (both fatty acids). Added to this mix is phytosphingosine. This is where Elizabeth Arden handily ticks off the boxes necessary for a good ceramide-dominant moisturizer, as far as we can tell from the scientific literature: 1) usage of a combination of multiple ceramides, check; 2) inclusion of other synergistic ingredients such as fatty acids and phytosphingosine, check (and multiple types of fatty acids, too); 3) usage of ceramides that are reflected in the science papers; check. The last one is useful to have because if you read the papers I linked to, you'll see that Ceramides 1 and 3 seem to be mentioned in the papers, with Ceramide 6 sometimes used in combination with the two. There are 6 types of ceramides in the human skin, so you want to use the ones that have been proven in the literature to work. Elizabeth Arden's product uses Ceramides 1 and 6, which are in line with what we've researched. Looking at the literature, and looking at the product, I'd say it seems to be formulated pretty solidly based on science. Beauty bonus: Vitamin A and Vitamin E also benefit the skin, working on wrinkles and free-radical damage. Just when you thought it couldn't get any better, Elizabeth Arden throws in a few more goodies, for good measure: there's retinyl palmitate (Vitamin A), as well as tocopherol (Vitamin E). Retinyl palmitate is a weaker version of retinol (the ingredient we all know and love for skin smoothening and wrinkle decreasing), but although it is weaker, continued use over an extended period should also yield results, with the benefit of less irritation. Tocopherol is an anti-oxidant, which helps counteract further damage to your skin. Both are great and smart additions from a skincare perspective. The scientific literature also gels well with my personal experience with the product. I found that although the serum feels a tad on the heavy side initially, it does sink in further and is absorbed by my skin. If you have dry skin, or are patient, you can probably layer your moisturizer of choice over it. I did find that this performed well on my skin, and it worked well at increasing hydration levels and at plumping up my skin, and generally improving my skin quality as a whole - I feel like it was slightly less sensitive after I used this product. My mum also tried it out (because she's the one with the aging concerns), and she really likes it too - she thinks it works and isn't too heavy for her skin. The texture may be a little heavy at first, but it eventually sinks in and leaves skin feeling softer, smoother, and plumper. I know you're probably thinking, "That's so much information, and I don't really want to use my brain when I read a beauty blog, WHY OH WHY are you doing this to me?" This is because although I do use some expensive skincare items from time to time, one of my fundamental beliefs is that you don't need to spend obscene amounts of money to look good, and this applies to skincare as well. It's not so much a case of "Expensive Stuff Is Always Better", as it is more about finding something that works for your skin's needs and your budget. So, before I recommend an expensive skincare product, in addition to testing out the product myself, I also research the heck out of its ingredients before I recommend it. Since my readers are generally a worldly, intelligent bunch (yes, my dear, that's you! ), I know that you guys will appreciate it. After all, if you're going to drop a pretty penny on some cream or serum for your face, isn't it good to know that you're buying something backed up by the science, rather than just a bunch of marketing mumbo-jumbo? A great all-around product for anyone with dry, sensitive, or aging skin. So, that said and done, would I recommend it? Yes I would. While $139 for 60 capsules doesn't sound cheap, I think the product is actually very well-formulated. It has a synergistic mix of ceramides, fatty acids and phytosphingosine, and also has additional beneficial ingredients like retinyl palmitate and tocopherol, all of which are well-documented in the scientific literature. As an added bonus, the unique capsule packaging also means that the product is indeed preservative free and fragrance free (so if you think it smells strange, just remember that this is how unfragranced products smell like). I would say that it would be a good all-arounder for anyone who has dry, sensitive or aging skin, or anyone who is looking for a solidly formulated anti-aging product. 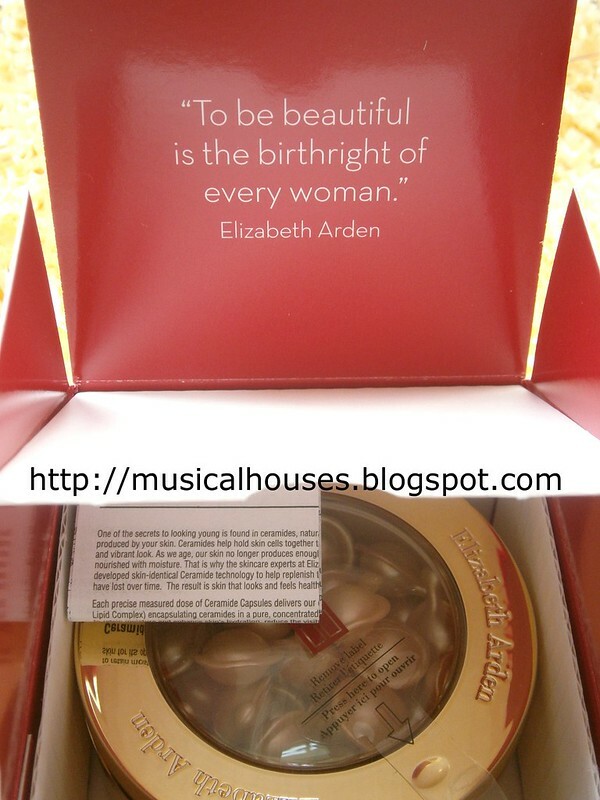 My mother used the EA ceramide capsules for quite a while at least 25-30 years ago. She really liked them! I'm not sure why she drifted away from them, although the price could have been a factor. Seems like they were in the $50-$60 range back then. This sort of in-depth, science-focused review is exactly why I love your blog. Thank you! As someone with dry, sensitive, AND aging skin, plus a host of allergies including most fragrances, this is extremely useful to me. I think I just found my fav blog! Some of my friends who are just as into beauty are ignorant on science side. What's weird that they are bio or chem majors. They fall for the marketing gimmicks all the time and complain "this didn't do anything". This one broke me out! The squalene in it is very comedogenic. Shame, since I wanted to use it on long-haul flights for the ceramide content. @Jaclyn: Aww I'm sorry about that! It makes me sad when I get breakouts too. 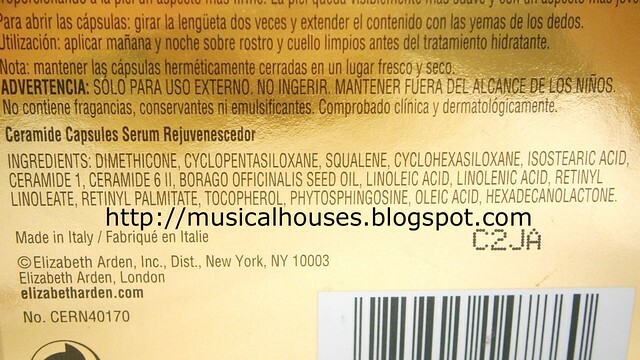 From what I can tell though, squalane should be pretty non-comedogenic. Almost all the literature I've read indicates that squalane is non-irritating and non-comedogenic. Squalane also is found naturally in your skin, and most people I've seen are fine with it. However, it does seem like people with acne have a higher concentration of squalene (which turns into squalane after some time) on their face skin, so maaaaaybe (taking a leap from the literature) for some of those who are already acne-prone or oily, adding more squalene probably may not be a great idea, although it is a great skin moisturizer for those who don't have those problems. So if you have oily/acne skin maybe this isn't the best product for you. Alternatively, it might not be the squalane, but some other ingredient that is breaking you out. I've come cross some people who are sensitive to silicones. Maybe that could be the culprit too. Or it could also be the retinyl palmitate, which can cause purging as it enhances skin turnover (usually the purging gets better over time though). But anyway I'm sorry to hear about your case, let me know if you find something that works for you! @Anonymous: I've seen (briefly, so my memory is serving me hopefully correctly here) the ingredients list for the old formulation as well, and if I recall the formulation was also fairly similar (combination of ceramides and other synergistic ingredients with Vit A and Vit E). So I think you should be able to use them and see some effect. My understanding is that they were reformulated to make the product feel lighter on skin, and not so much to change how the product itself works. Hope this helps! Thank you for this reply! I was looking for this information myself, and a google search led me to your blog. I see myself doing a lot of reading here soon! Thanks for the great reviews. For what I have researched, squalane is non-comedogenic whereas squalene is highly comedogenic. The second ingredient in these capsules is SQUALENE. IMO this is why these capsules will cause breakouts. I have acne prone aging skin, love this product and I use it with my glycolic lotion to help me from breaking out. Hi, I'm very enlightened about this product due to your scientific based review. 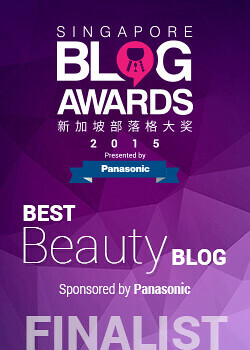 I've been following your blogs now after I read about pH adjusting products (blusher, lipstick, you name it), lancome genifique, BB creams, and many others. Back to this point, I saw one of the ingredients in this is Tocopherol, which you mentioned in the BB creams blog post that it could be clogging. I have an acne prone skin with stubborn whiteheads. How common is clogging as an adverse reaction from Tocopherol? Thank you! 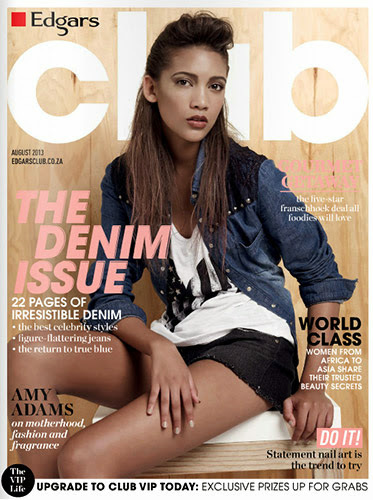 Your articles are very informative, reliable, and engaging! 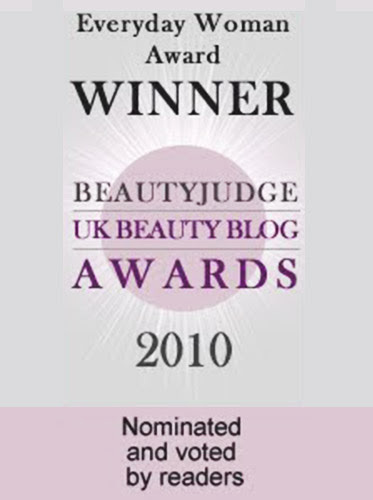 I came across with your blog through goggling EA ceramide capsules, and I'm happy to see that differently from completely useless beauty blogs you've created something analytic and worth following. Thank you and much appreciated!